Blunt trauma, non-penetrating trauma or blunt force trauma are a physical blow to the body; in the martial arts that would mean by impact, injury or physical attack, which is usually referred to as blunt force trauma. The initial trauma develops into more specific types of injury such as contusions, abrasions, lacerations, and/or bone fractures. Blunt trauma is separate from penetrating trauma, in which an object such as a sword or blade enters the body. 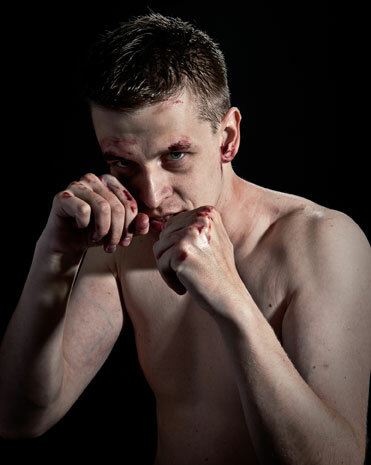 Blunt force trauma is usually caused by strikes from fists and solid objects causing symptoms of soreness and bruising with body ache and (subcutaneous) bleeding under the skin commonly described as being all black and blue. This herbal prescription comes in one 200 gram herb kit (which should last about 15 days); it i.. This classic Hit Medicine herbal prescription comes in one herb kit (which contains approx. 50 ..